The CPU-71-10 is a VMEbus (and VME64) compatible platform based on either the Intel® low-power Core-Duo (Yonah) processor or the Intel® Core™2 Duo Mobile Processor L7400. 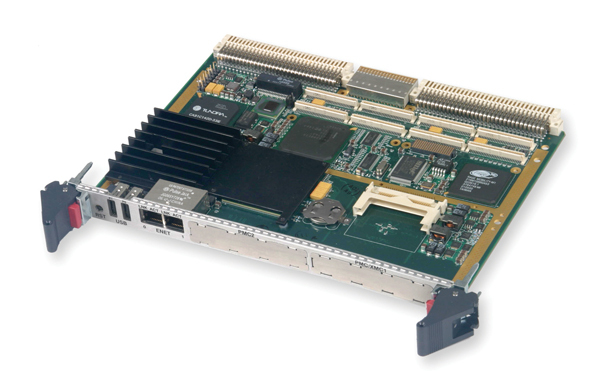 The CPU-71-10 takes advantage of the Core-Duo’s low 15 W power consumption (Core 2 Duo at 17W)as a rugged Single Board Computer (SBC). It is optionally available as an IEEE 1101.2-compliant, conduction-cooled VMEbus module with wedge locks and a full-board heat sink for high shock/vibration environments and temperature extremes. 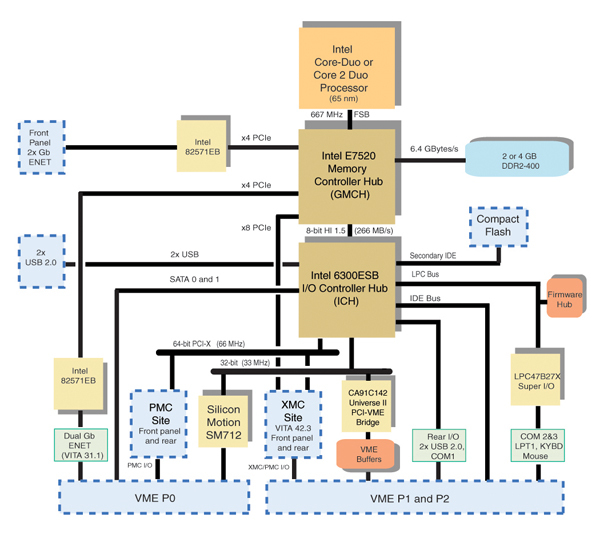 (ICH) chipset supports PCI-X and PCIe expansion, USB 2.0, ATA/100, and Serial ATA (SATA). Two Gb Ethernet ports and two USB 2.0 ports are accessible from the front panel in addition to two PMC bezels. On-board CompactFlash permits single-slot booting. Two VITA 31.1-compliant, 10/100/1000BaseTX ports are routed to the backplane. Two SATA ports, VGA video, two Gb Ethernet ports, four RS232 ports, one RS422 port, an IDE interface, PS/2 mouse & keyboard, and two more USB 2.0 ports are routed to the backplane. Two PMC-X sites are provided for additional I/O expansion. 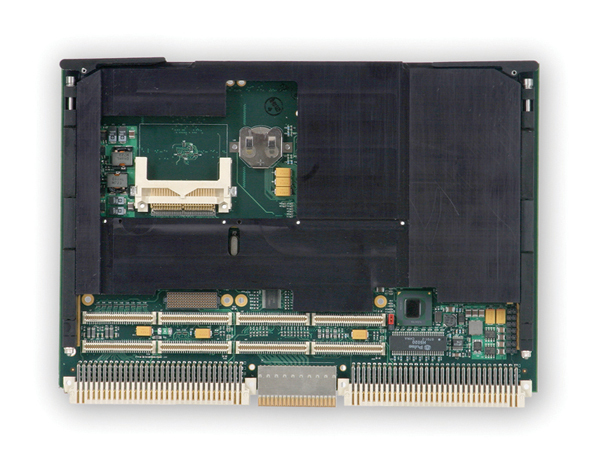 Conventional PC I/O is accessible with industry-standard connectors on optional rear I/O modules.